Next month's In Practice column will discuss how some neurologists have become vocal activists in efforts to find solutions for reform. Since In Practice first described how neurologists were affected by rising professional liability costs earlier this year, the crisis has spread. More insurers have become insolvent, rate hikes continue, and no clear solution is in sight. In March 2003, a cooperative survey by the American Medical Association (AMA) and the AAN confirmed what had previously been suggested: Professional medical liability premiums are increasing and neurologists are altering their practices to conform with a climate of increased liability pressures. 8.5 percent had relocated their practice. AAN members throughout the US agreed that health care will be catastrophically damaged by the current trends. Maureen A. Callaghan, MD, a neurologist in Olympia, WA, who is President of the Washington State Medical Association, said: “It feels like a silent epidemic. I worry about the future of our specialty as well as the future of medicine. With malpractice premiums going up and reimbursement going down, many communities in this nation are unable to recruit neurologists. “In Washington State, there are several regions that would love to add another neurologist but cannot attract one,” she said. Dr. Callaghan shared a story about a colleague's wife who had an acute infarct but did not receive tissue plasminogen activator (t-PA), despite having been brought to the hospital within the three-hour window required. A neurologist was not available to administer it, she explained. Many patients have already felt the impact of this crisis as their neurologists have left practice to go to less compromised parts of the country or have retired prematurely. Colin T. Iosso, MD, had been Chief of Medical Staff at City Hospital in Martinsburg, WV, when he reluctantly decided to leave last year after nine years of practice. “I wouldn't have even considered leaving if it hadn't been for the crisis in West Virginia,” he said. Last year, he joined a neurology group practice in Spartanburg, SC, where he has found the atmosphere to be much more accepting for physicians. Why? “South Carolinians are more willing to concede that sometimes things go wrong and it's not necessarily someone's fault,” he speculated. Several neurologists observed that regional and cultural views were closely tied to the malpractice climate. In Texas, for example, malpractice suits are so frequent that they are often referred to as the state's other lottery. John R. Ellis, MD, a neurologist in solo practice in Amarillo, TX, is currently thinking about closing his practice. His premiums jumped from $13,000 to $22,000 this year for his part-time practice despite his never having been sued in 21 years. He closed his private office in 2001 due to concerns about malpractice exposure, but had continued to do rare hospital consults, see patients at a clinic for indigent patients one morning a week, and do EMGs. Last year, he stopped sharing call with four other neurologists because he thought that covering their patients put him at too much risk; this year he decided to stop seeing hospital patient consults entirely. Dr. Iosso said that his tail coverage – $40,000 – was simply unaffordable. After making one payment and incurring relocation expenses, he was unable to continue the additional coverage. Dr. Westbrook reported that premiums for the University Neurologists in Cleveland increased 100 percent three years ago, another 50 percent two years ago, and an additional 63 percent in his last renewal. “The major problem is that the serious increase is not all supported by reimbursement,” Dr. Westbrook said. “We are seriously considering how long we can afford to do the thorough job that comes with the one-hour new patient visit. We believe we might incur more serious risks from errors of omission related to shortening that time, so we have resisted changing our service intensity. Mark A. Goldstein, MD, who practices in a three-person neurology group in Lake Worth, FL, has taken drastic steps to manage his practice's risk. When his liability insurance rose from $17,000 to $47,000 per year last year, he dropped his coverage from $1million/$3 million to $250,000/$750,000. After seriously debating whether to stop doing in-patient consultations under the reduced coverage limits, he and his partners notified their hospital that they would take a leave of absence unless neurology emergency room call was abolished. “Florida is almost self-destructing,” Dr. Goldstein said. This year, a 53-person multi-specialty group has taken a leave of absence from the same hospital in protest to raise public awareness about the crisis in malpractice insurance. 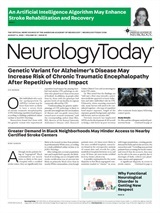 Several neurologists expressed concerns about their accountability – as fewer neurosurgeons are available for referral for a growing number of patients. Some neurologists are reassessing their continued participation in hospital coverage to curtail this additional exposure. The worst impact of the current health care crisis may be yet to come. A study of medical residents in their final year of training by the physician recruitment firm, Merritt, Hawkins and Associates, revealed that 24 percent would select another field if they had their education to begin again – compared with only 5 percent in 2001. Furthermore, 62 percent of residents indicated that malpractice is a significant area of concern – compared with 15 percent two years ago. Sadly, many residents and young physicians are reconsidering careers in medicine. Mircea A. Morariu, MD, practices in a family neurology business in Delray Beach, FL, where he grew up. His father has been practicing neurology there for over 20 years and his mother, also a physician, works in their practice as well. When he joined them two years ago after completing his neurology residency and neuroimaging fellowship, he felt that he had achieved his lifelong dream. But after the family's liability carrier went out of business last year, their insurance costs went up 500 percent – making it realistically difficult to make a living.